Composed by Steve Kaufman. 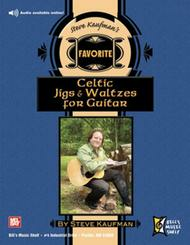 Style, Tunebook, Bluegrass, British, Perfect binding, Scottish, Celtic / Irish. Bill's Music Shelf. Fiddle Tunes. Book and online audio. 108 pages. Mel Bay Publications, Inc #21220. Published by Mel Bay Publications, Inc (MB.21220). ISBN 9780786673131. 8.5 X 11 inches. Steve Kaufman, three-time National Flatpicking Champion, does it again. 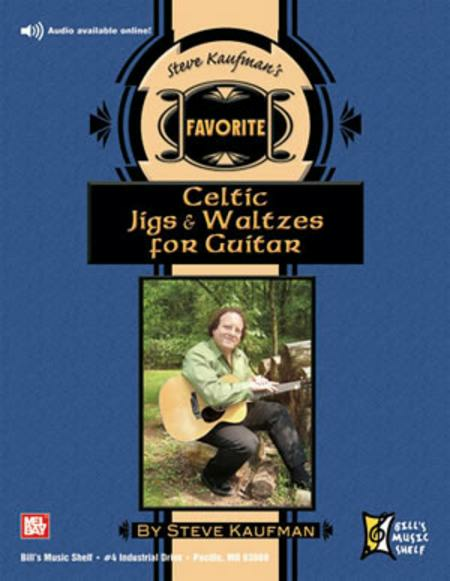 This edition brings us Steve's favorite jigs and waltzes transcribed for guitar. This large collection will build your repertoire as well as help you develop more ideas, licks and runs for arranging your own melodies. Companion audio is available for this title in which all the songs are played note for note at about 3/4 speed.